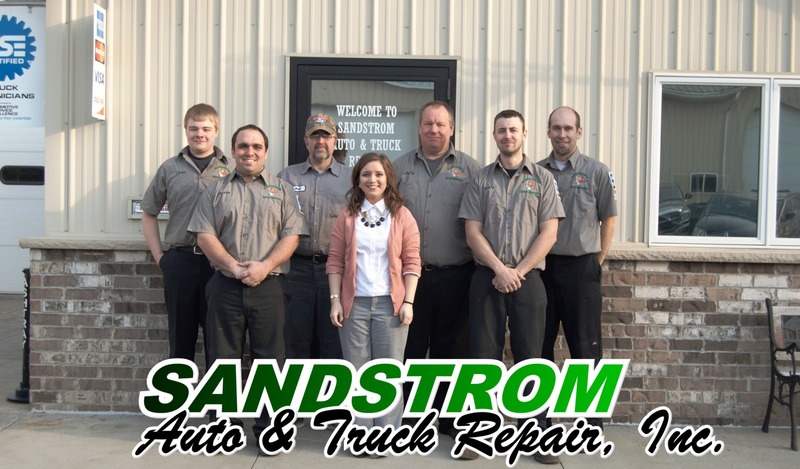 Sandstrom Auto and Truck Repair was founded in 1997 by Andy Sandstrom. He wanted to do business differently by making the company’s principles of honesty and integrity the basis of all day-to-day operations. At Sandstrom Repair, you will never be sold any repairs or services that your vehicle doesn't absolutely need...period! Our friendly hometown shop is a member of the Better Business Bureau, AAA, and the Cannon Falls Chamber of Commerce. We are a full service repair facility for all of your automotive needs - the only AAA certified repair facility in the Cannon Valley area that performs services on both foreign and domestic vehicles. We have technicians that are ASE Master Certified for car, truck, and bus repairs, with a combined experience of over 100 years in the business. Sandstrom's also provides expert repair & maintenance services for buses of all kinds, RVs, and medium-duty trucks. By allowing our technicians to properly service your vehicle, you can avoid costly repairs down the road and maintain your manufacturer's warranty. We use only the best products available and our state of the art equipment is updated on a regular basis. If the time comes for you to replace your engine or transmission, we offer engine and transmission replacements from Ford, Chrysler, GM and Jasper that come with up to a 3-year, 100,000-mile warranty. Whether you need major repairs or just regular maintenance, we take great pride in meeting all of your car care needs. We are also certified to do D.O.T. truck inspections and/or safety inspections if your vehicle requires one. Towing is available if necessary. Agricultural and construction equipment service & repair is available as well. Sandstrom's is proud to use today's technology to assist in providing old-fashioned quality and service. Sandstrom Auto & Truck Repair, Inc. is committed to providing professional automotive repair at reasonable costs with qualified technicians. We only use high-quality OEM or aftermarket parts, and we stand behind those parts and our work with warranties that we will describe to you at the time of service. We operate our business with integrity and honesty and uphold the highest ethical standards. Our goal is to make your vehicle or equipment repair experience friendly and trouble-free. Recommend repair and maintenance services, explaining which services are required to fix existing problems and which are to prevent problems from arising in the future. Offer and discuss an estimate for the work to be performed. Obtain the customer's authorization before beginning any work. Keep the customer informed about the progress of the work being done. Provide an itemized invoice for all parts replaced and services rendered, priced fairly, and indicate what parts are OEM, aftermarket, or remanufactured. The customer always has the right to inspect all replaced parts. 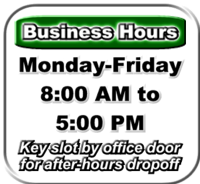 Provide and/or post all applicable warranties for parts and/or labor. Take reasonable care of the customer's property while their vehicle is being serviced. Make every good-faith attempt to fix the problem the first time. Uphold the highest standards of our profession and seek to correct any issues within the automotive industry.